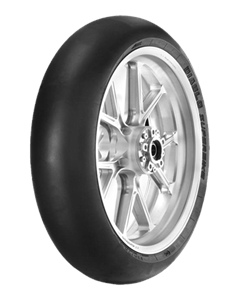 A tyre exclusively for racetrack use, it constitutes a direct link between sporting users and the world of professional riders. Total circumference increased by 2% to perfection on all paths. Specifically developed for the Superbike World Championship for better heat resistance and faster heating times. Unauthorized use on public roads.